I recently acquired the original of this photo. It was sold to me as a mystery, with no clues as to the location or name of the diner. Upon close examination of the original, the name “Malone Diner” is visible on the jukebox, and on the cigarette machine. 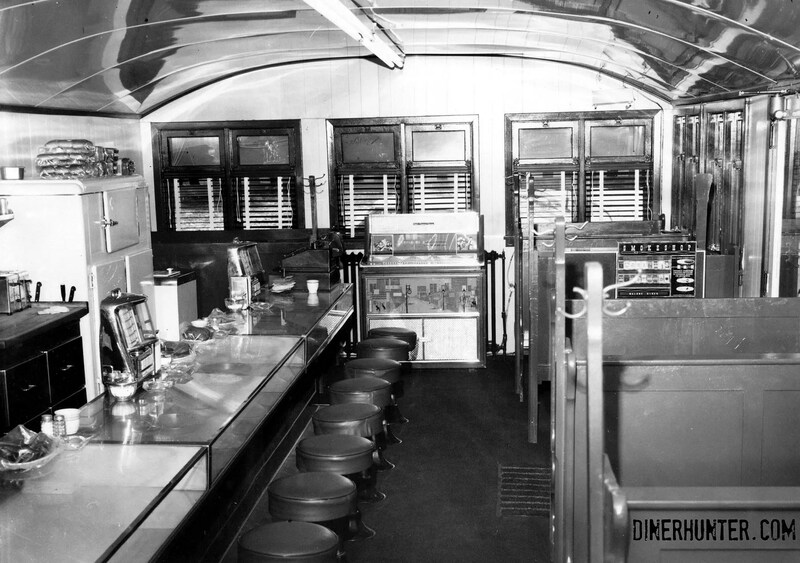 A bit of research reveals that the Malone Diner was built in 1939 by the General Diner Manufacturing Company of Oswego, New York. (More info on General from Mike Engle) . Jimmy Rosen has identified the jukebox in the background as a Seeburg Discotheque, which dates the photo to having been taken after 1965. Lots of cool details in the photo. Take note that the ribs of the original stool tops are visible through the later vinyl slipcovers.